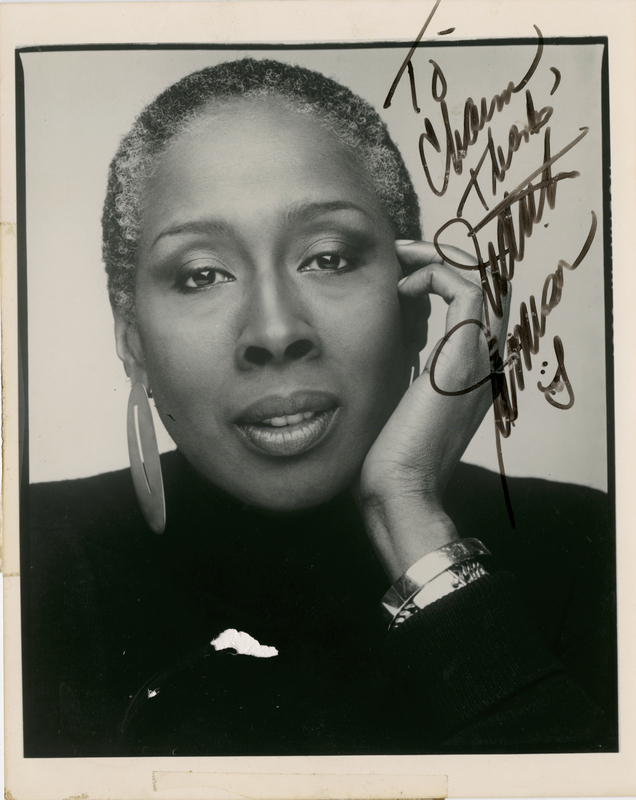 DANCER JUDITH JAMISON, SIGNED AND ENDORSED. Jamison is the artistic director of the Alvin Ailey Dance Theater. 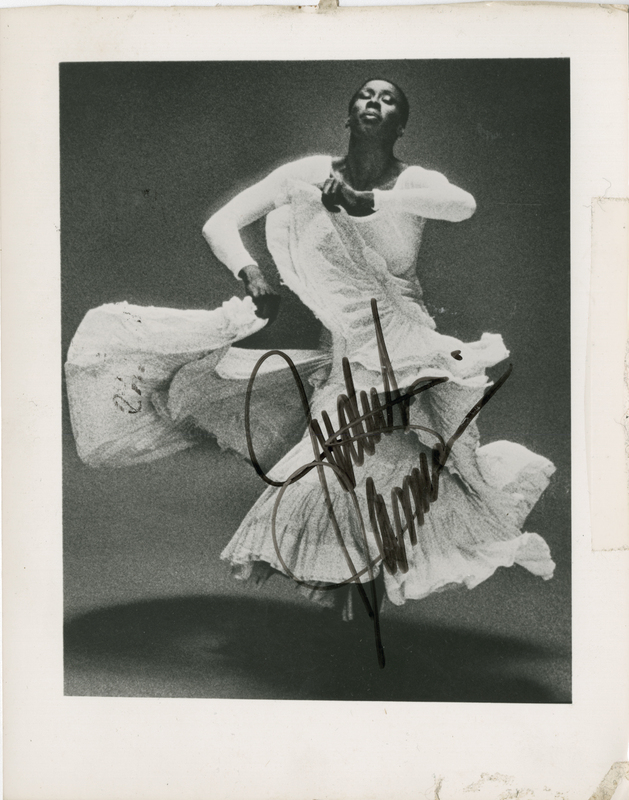 A nice 10 x 8-inch portrait of her dancing in Ailey’s “Cry” has a company label on the verso crediting Max Waldman. This is boldly signed on the image. There is some tape , stain and a small tear on the outer edges of the margin. The image itself is fine. Another 10 x 8 photograph shows her in a meditating pose. This has a similar label that credits Jack Mitchell. This is boldly endorsed on the image. There’s an unfortunate tear in the black of her sweater that should be darkened.